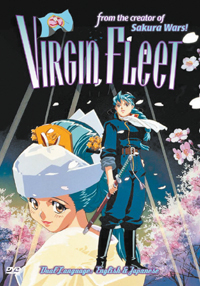 In the pre-WWII era, Nakano Naval Academy`s special school for girls is codenamed "Virgin Fleet". These girls are gifted with a special form of power known as "Virgin Energy". With the fear of another Russo-Japanese war imminent, rookie pilot Shiokaze Umino must hone her powers to save Japan from complete destruction.